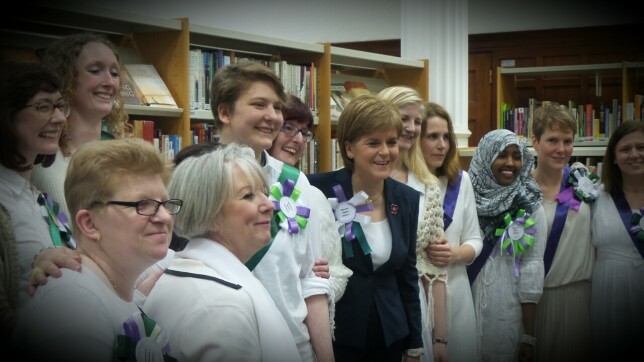 First Minister pays a visit as Glasgow Women’s Library unveils new permanent home. Today, Glasgow Women’s Library celebrates the launch of its newly refurbished building, with a visit from First Minister Nicola Sturgeon. The stunning new purpose-designed spaces will be home to unique and fascinating archives and artefacts celebrating women’s writing, history and achievements in Scotland and beyond. Funding for the major redevelopment was provided by the Heritage Lottery Fund, the Scottish Government, Scottish Futures Trust, Glasgow City Council, Creative Scotland, Clyde Gateway and Museums Galleries Scotland. A portion of the funds raised came from ‘Women on the Shelf’, a individual donations initiative to allow anyone to honour a woman special to them by dedicating a shelf or Library section in their name, with all funds going towards the capital build project. Formerly the Bridgeton Public Library, the building has been given a new lease of life as a part of the 2014 Commonwealth Games regeneration, with Clyde Gateway supporting Glasgow Women’s Library in managing the capital build project. Since its founding in 1991, Glasgow Women’s Library has been based in a number of locations including Garnethill, Trongate and, for several years prior to this move, in temporary premises including the Mitchell Library. 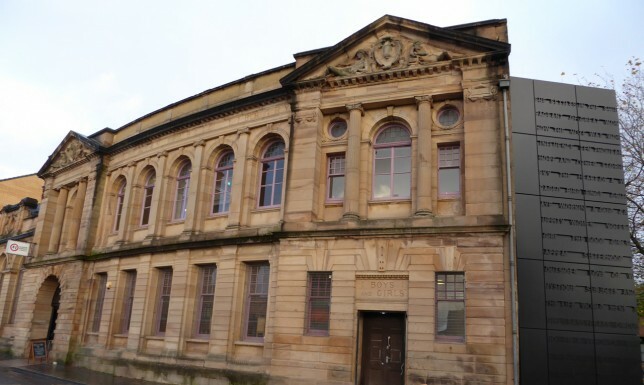 Now granted a long-term lease by Glasgow City Council, Glasgow Women’s Library appointed Collective Architecture to design the refurbishment of the building. “Glasgow Women’s Library is truly a national treasure and I am thrilled to officially open the new premises after the recent renovation. “As well as excellent resources, the library also offers vital support to women – and makes a real difference to so many people’s lives. More information: Download the GWL Launch Press release here. This entry was posted in News and tagged with 23 Landressy Street, launch, Nicola Sturgeon, press release, renovation.